Wretched have premiered a new video for their song, “Wetiko.” The song is from the band’s latest album, Cannibal, which was released on June 10 via Victory Records. 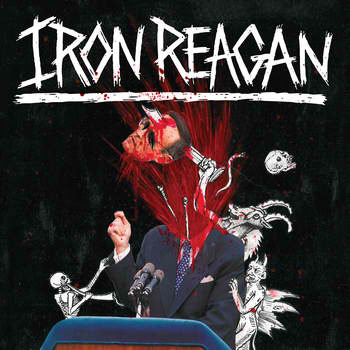 Iron Reagan, the supergroup with members of Municipal Waste, Darkest Hour, Cannabis Corpse etc., have announced that their new album, The Tyranny Of Will, will be released on September 16, via Relapse Records. The album will have a total of 24 songs. Ill Niño have premiered a new song titled, “Not Alive In My Nightmare,” via Revolver . This is the second single from their new album, Till Death La Familia, which will be released on July 22, through Victory Records. Catch Ill Niño all summer, at Mayhem Fest. 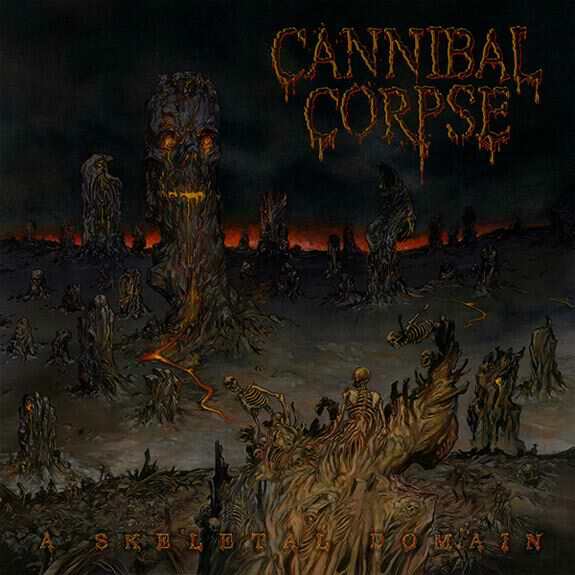 According to Loudwire, Cannibal Corpse will be releasing their new album, A Skeletal Domain, September 16 via Metal Blade. This will be the death metal band’s 13th studio album. Catch Cannibal Corpse, all summer long, at Mayhem Fest. When Metallica was announced as the Saturday night headliner at Glastonbury, it cause great controversy among the fans and bands that were attending the festival. Metallica were the first metal band to headline Glastonbury, which is usually composed of Alternative and Indie groups. According to Blabbermouth, the band got back at these hatrers with a special intro and shirt for the event. First off, people were protesting Metallica, due to James Hetfield hosting a show about bear hunting, on the History channel, so the band responded with an intro that showed a traditional fox hunt and the band members, themselves, dressed as bears and killing hunters. 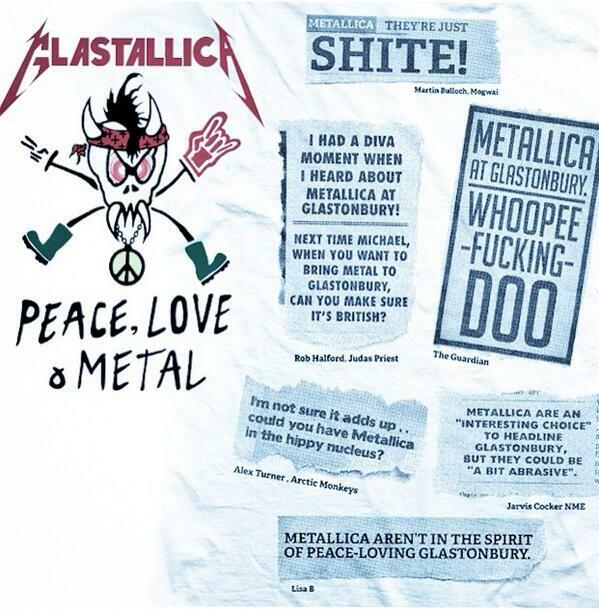 Secondly, they made “Glastallica” shirts that said “Peace, Love and Metal,” with hateful comments all over the back. HELLYEAH was joined onstage by Randy Blythe (Lamb Of God), last night (June 27), at Ziggy’s By The Sea in Wilmington, North Carolina. Blythe performed the track “Hellyeah,” with the band. “The waiting (and teasing ;)) is over…! The time has come to finally share the new video for “Inner Enemy” with you. We’d like to thank you all so much for your support and your patience, it really means the world to us!